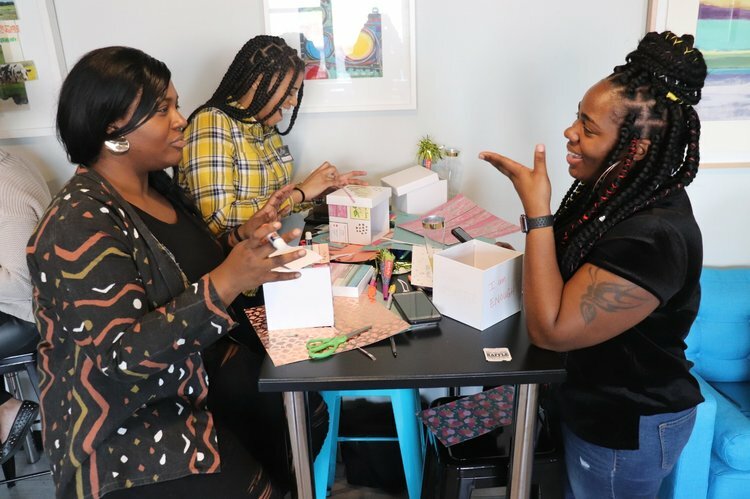 Creative Women Build (CWB) is a company founded by Jasmine Utterback focused on connecting black women business owners and creatives with resources to elevate their brand through events, workshops and webinars in New York City, Washington D.C. and other major cities. Host events and workshops on various topics that can help bring your brand to another level no matter where you are in your entrepreneurial journey. CWB believes women go further together, and we are committed to supporting you in your creative business with the unique tools creative innovators need. Do you have ideas, but don't know where or how to start? Jasmine, the founder of CWB wants to help you get clear about your ideas! Sometimes it’s difficult to figure out how to get started. Working together 1-on-1 we will identify any roadblocks you may be experiencing and help you figure out how to move forward. Sign up for a free discovery call below! Jasmine believes in creating a program that meets your individual needs. During the calls, we co-create together. Upon signing up for a call, you will complete a brief questionnaire. Your responses will be used to prepare for the call. During the call, Jasmine will help you identify what’s holding you back. Afterwards she will send a follow-up survey. Any feedback you are able to provide is greatly appreciated. Don’t just take our word for it. See how we’ve helped these creative women get unstuck and build a strategy tailored to their needs. This Brainstorming call helped organize my jumbled ideas into an action plan that is organized and easy enough to follow, even with my busy schedule. I loved how personable you were and easy to speak to. I also enjoyed the real time examples and walk through tasks we did during the phone call. It gave me inspiration. I was also able to compare how I run my food page versus someone else and areas where I can be difference and shine. Very informative. Very enjoyable. And I had follow up tasks to help meet realistic goals. Never thought I’d want to do ‘homework’ so bad! Ha! Jasmine is a great person to have on your team as you gain clarity and build on your vision. She has been very supportive, encouraging, and helpful. She supports your ideas, but pushes you to dig deeper into your vision when she see that there is still areas of improvement and clarity. She definitely goes above and beyond, thinking of your idea in between sessions and bringing “downloads”/ideas she see’s for you. It truly feels like a partnership. And I feel more confident and stress free, than I did when I initially had the idea. I would suggest giving Jasmine a call if you have an idea and need assistance on creating your action steps. Join the CWB Community to hear about upcoming events and workshops!